Wish you had a couple more hours in a day? You’re not alone. Time is the most expensive currency that people have. In fact, it’s invaluable because it cannot be exchanged or reversed. Time spent is time gone. Whether you’re a freelancer on a tight schedule, or a leader who wants to make better use of your team’s hours, time management is probably your number one priority. If you’re an independent professional, handling your time efficiently is key to your financial satisfaction and work-life balance. As for team managers and employers, managing the way freelancers and external consultants use their logged hours is crucial for achieving high levels of productivity and ensuring profitability of projects. Enter time management apps – your partner in crime for boosting productivity. There are literally thousands of solutions on the market that you can choose from. While variety is great, it’s important to know what the main features to look for in a time management software are. But before we jump in reviewing the best time management software for freelancers and employers, what are the guiding principles of effective time management? Being effective in your work or team management starts with understanding the ground rules of time management. Here are the basics. If you want to achieve your work goals, you need to know where the hours of the workday are spent. Accurate, automated time tracking is the only data-driven approach that helps your entire organization reach peak productivity. Real-time management starts with proper prioritization. You should always guide your scheduling by deciding on the most important tasks that should be completed. To devise a useful method for tracking and managing time, it’s best if you create a list with groups of tasks that you want to account for in your time management software. This is only a rough skeleton, but you get the idea. The more granular that you can get in the way you track your time, the better your subsequent analysis of work hours can get. As for employers, time tracking specific items are also important. You can create a list of tasks for contractors so you get a detailed overview of how they are spending their time. In this way, you can easily manage which areas of activity are profitable, and which ones need to be better planned and managed. Once you collect data from, say, a month of daily activities, it’s time to delve into it. First, you can look at the time spent on each task by team member, day or time of day, and more. This immediately gives you information about the most time-consuming tasks and projects. Time tracking on its own is not enough. You need to incorporate the information you gather from logged hours into your other business processes. Look at the tracked time and compare it with your most important work goals. At least 50% of your logged hours should be spent doing the most critical things on your to-do list. That’s how you can also ensure that the time you spend on projects corresponds to their budgets. Whether it’s for your own scheduling, or for your team, you need to know which activities are time monsters with little result, and which ones bring the highest return on investment. Then you’ll know where to focus. If you want to optimize the way you or your team use the working hours, you can look into some of the popular time management techniques. We’ve prepared an entire post on this topic, which reviews and summarizes 18 different techniques you can use to create your ideal time management plan. Now that you know how to implement time management apps, it’s time to choose the one that’s right for you. Here’s our list of great time management apps that can be of use to both independent professionals and managers of remote teams and freelancers in 2019. We’ve split them into categories for your convenience. The first group of apps is dedicated to the top solutions for time tracking – either for your own records, or for your team’s needs. Hubstaff has been called one of the best time management software options out there. It’s as great for freelancers as it is for remote teams. Features: Streamlined time tracking through iOS and Android mobile, and desktop apps, online timesheets, employee monitoring, location tracking, in-depth time reports, scheduling, payroll system, project budgets, invoicing. 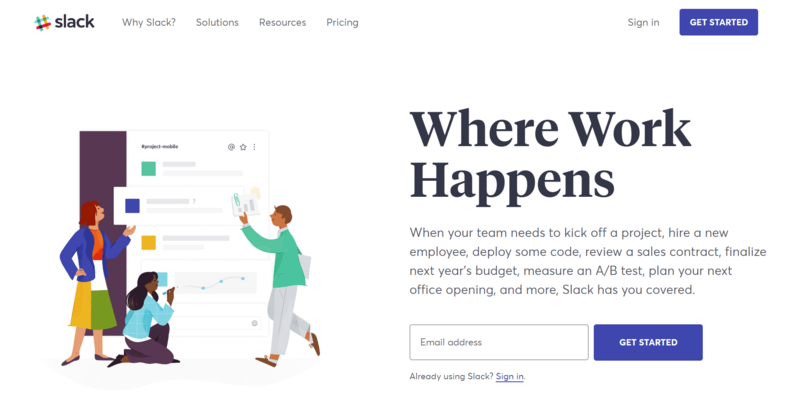 Suited for: Large companies, startups and agencies, freelancers, solopreneurs, remote teams, mobile teams. Harvest is one of the big names in time tracking software. It’s there to help you operate your business with the needed insight into how you or your team are spending logged hours. Features: Mobile time tracking, online timesheets, visual reports, invoicing, scheduling, project budgets. Suited for: Freelancers, remote teams. There was a time when back-and-forth emails were the standard means of communication between teams. 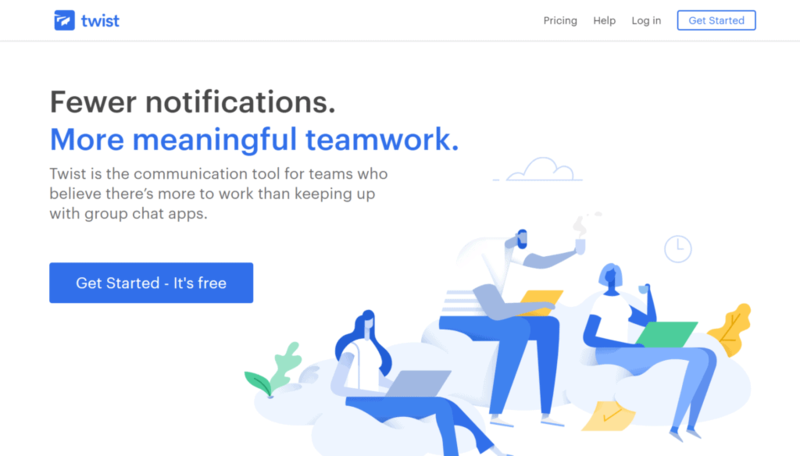 However, this is an inefficient and outdated method, so we gathered these great instant communication apps to get you on the right path toward productivity. Slack might just be the most well-known team chat app. 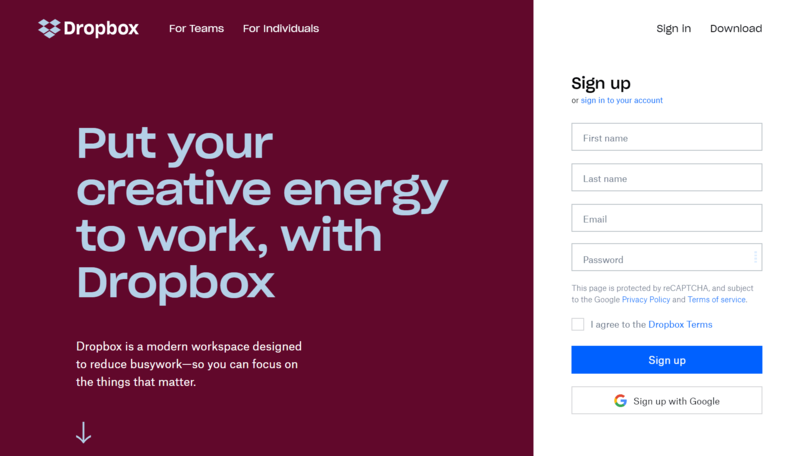 It’s remarkably easy to use, and it allows you to talk to anyone (or everyone) in your team, share files effortlessly, and more. Features: Real-time communication, file sharing, voice and video calling, team organization. Suited for: Simple day-to-day conversations, small- to medium-sized organizations. Emails got it right with the threaded structure, but it was too easy to lose track of them. This could also be said of most team chat apps. Imagine a much more organized and real-time version of that, and you get Twist. Features: Real-time communication, organized threads within channels, file sharing, seamless email integration. Suited for: Day-to-day conversations, larger organizations. File sharing allows team members to easily access documents or spreadsheets when they need it, shaving off a lot of time. We recommend these top file sharing apps. With the huge number of capabilities Google Drive has, it’s not hard to see why it’s widely regarded as one of the best time management apps out there. File storage and real-time collaboration are only some of its many features. Features: Cloud storage, real-time collaboration, file security, support for multiple file types. Suited for: Remote offices, team-centric organizations. Dropbox has been around since 2007, before cloud technology was mainstream. It is simple to use, reliable, and is familiar to many. Features: Cloud storage, file syncing over local network, file security, previous file versions. Suited for: Remote offices, in-house workplaces. There are a bunch of helpful apps that can do the trick. Free up some time from your schedule without making you ignore the important tasks with these great time management tools. 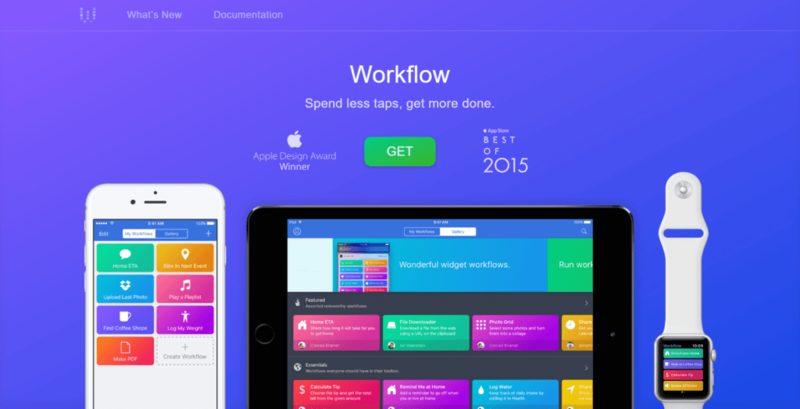 Workflow is an impressive automation tool that allows you to create a set of commands that connect the features of different apps. In other words, you don’t need to execute ten clicks to achieve one goal. Features: Automatic actions with a single tap, customized workflows. Suited for: Mobile-driven tasks, freelancers. The focus booster app is here to help you concentrate. It’s the perfect partner in crime for applying the time management technique of your choice. Features: Instant online timesheets, interval time tracking, in-depth reports, mobile tracking. Suited for: Easily distracted individuals, freelancers, remote teams. 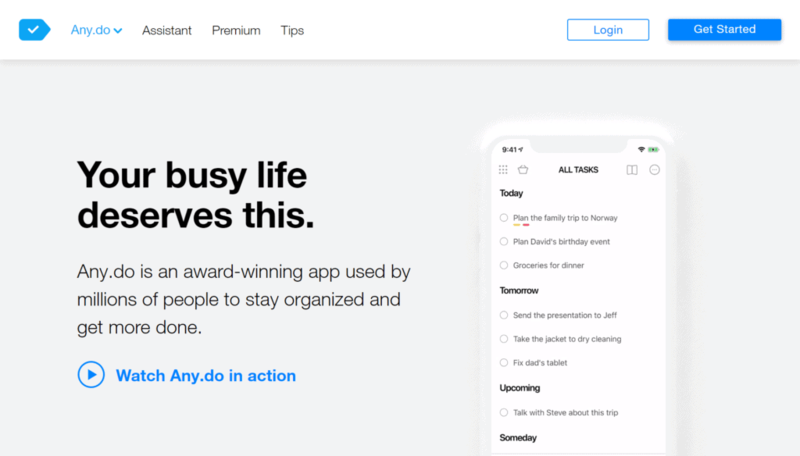 Any.do is an app that helps you get things done. Besides lists of tasks, it has a calendar with notifications, and you get a virtual assistant! Features: Available for mobile, to-do list reminders, calendar, notifications, and virtual assistant. Suited for: Freelancers, remote work, virtual assistants. Wunderlist might not make you a wunderkind, but it will certainly help you stay sane during workdays. 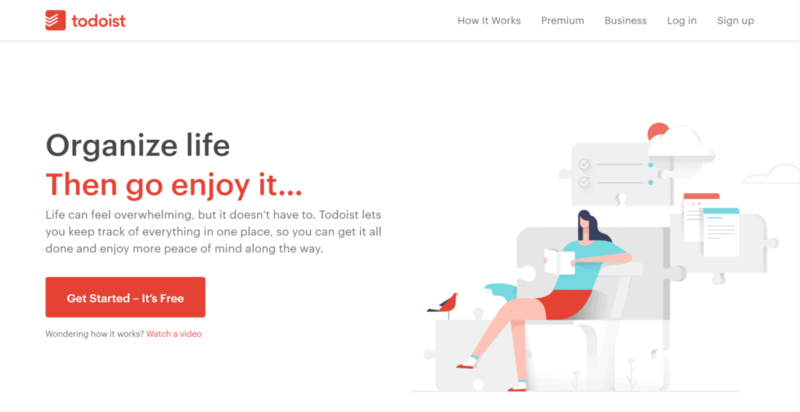 The to-do app has a personal version, as well as a business one. Features: Available for mobile, to-do list reminders, calendar, notifications, collaboration option, due dates, tags. Suited for: Virtual assistants, freelancers, managers. Todoist is a great option for making sure your to-do lists don’t get forgotten. It can be your partner in managing your own or your team’s tasks. Features: Available for mobile, to-do list reminders, notifications, collaboration option, projects with subprojects, recurring tasks, labels, filters. Suited for: Freelancers, managers, remote teams. The value of time doesn’t decrease when you’re not working. By making the most of it in your daily tasks, you can further improve your time management skills. There are apps that are designed for that specific purpose, and here are our recommendations. One of the most loved aspects of video games is the satisfaction of completing them. Viewing your daily tasks as video game achievements is one surefire way to increase your motivation. 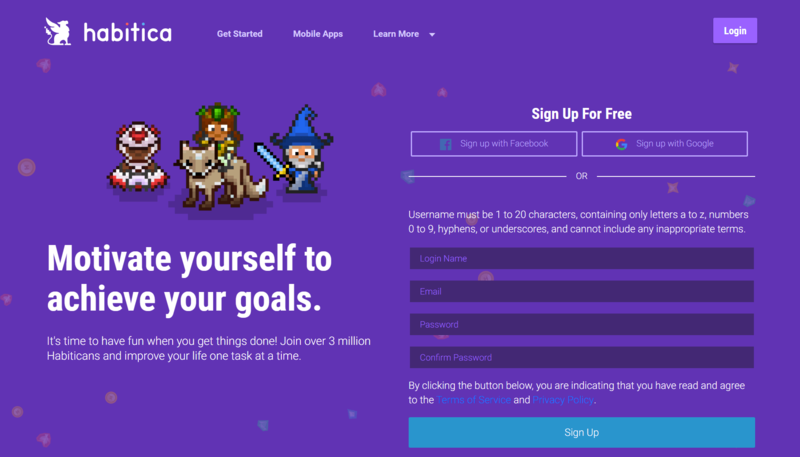 With Habitica, you’re your own player character. Features: Goal tracking, to-do lists, progress tracker. Suited for: People who want to be productive outside of work, people looking for a stepping stone to increasing their productivity. Smartphones are amazing, but sometimes they can be the biggest hurdle to productivity. How it works is simple: you plant a tree for every new task. The tree grows when you don’t use your phone, and it dies when you leave the app. Suited for: People who find it difficult to focus, people who can’t let go of their phones. What’s your favorite time management technique? Which of these do you think are the best time management apps that help you get more done, or manage your team of contractors better? We can’t wait to hear from you in the comments!